Yamaha YPG-235 Review: Read This Before You Buy! Wanna own an affordable and high-quality piano keyboard? Or, want to use an instrument that is easy to carry around or to hook up to any software on any computer? 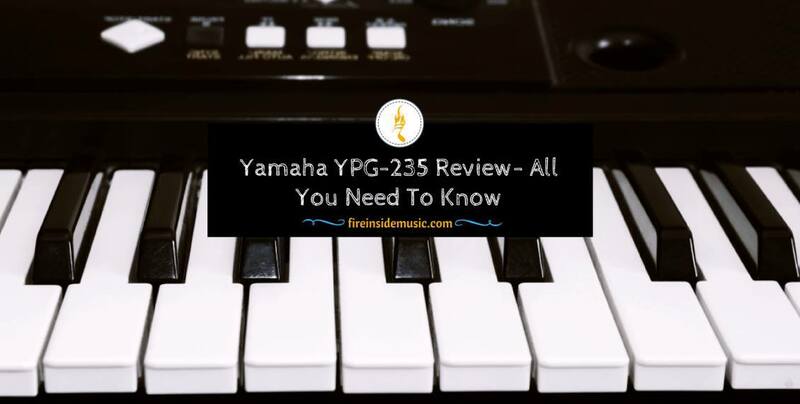 This Yamaha YPG-235 review is the right answer for you with a larger number of features and sounds provided with a realistic piano experience. No matter what you choose, everyone will be satisfied with a Yamaha product. Yamaha YPG-235 is such a great bliss with its 76-key semi-weighted keyboard and dozens of uses. Great durability, multi-function, and the ability to easily support any piano players at all levels are the main characteristics of this product. We are 100% sure that the consumers will enjoy this digital piano no matter who they are. It is the most affordable and worth-purchasing “Portable Grand” models of Yamaha. The touch-sensitive keys make most voices louder when being pressed. Designed with 489 unique sounds, educational features, a 6-track recorder and other useful features, this digital piano gives you the feeling of a perfect instrument for all. It is slightly lightweight (only 18 lbs) than the model YPG-535 weighing 24 pounds. This Yamaha digital product will give you the feeling of using a professional keyboard with thousands of uses. Let’s check what it can do! The touch-sensitive keyboard is the remarkable feature of this digital piano. The stronger your touch it, the louder its sound is. This function is extremely important for those who wanna create any musical sounds. However, the limiting 76-note keyboard can’t provide the users with both the very low and the higher notes on this piano. The little narrower width of the keyboard can be a real drawback to a beginner, but it gives no problem to the pro. With 46" of width, 16.2" in depth and 5.3" in height (minus its stand), this attractive digital piano is painted with a vintage champagne gold color that you have never seen once before. The pretty design will strike you at the very first sight with its control interface to help the users navigate the piano easily. It also gives you a glossy finish, the enhanced the naturally-colored speakers with traditionally black and white keys. This lightweight piano is more compact and easy to move from place to place. The good size with a compact length is especially ideal for any musician who loves traveling and transporting his instruments. The consumers don’t have to worry about plugging it in thanks to its 6-D battery compartment. Though the Yamaha YPG-235 display is not too big, it helps show all current settings including the selected song, tempo, sound, style, and mode. Educational features allow the product to show the notes of the song lesson on the piano staff and even the keys on its graphics keyboard while playing. Its 2-way speaker system provides separate woofers and tweeters for quality sounds. Each speaker contains two ports to add a little bass sound help motivate what you play. The 2-way system of the built-in speakers (6W + 6W amplifiers) is more adequate for using at home or in small spaces. The wonderful keys (about 76 traditional black and white keys) provide a nice touch supported by the signature Graded Soft Touch (GST) Yamaha keyboard system. Yamaha keyboards prove different manufacturing levels. Yamaha’s other keyboard systems include from Graded Hammer Effect (GHE), Natural Wood (NW), Graded Hammer Standard (GHS), and Graded Hammer 3rd Edition (GH3). The best keyboards allow the players to experience a realistic hammer effect system as a real piano. Although the Yamaha YPG-235 is not designed with a hammer effect, it does bring a responsive touch system as contained in GST. What I love about Yamaha YPG-235 is that the sounds are generated by the digital recordings of a real acoustic piano which is pretty good for a keyboard this price. The function of touch sensitivity will control the piano sample heard through its AWM Stereo Sampling system. Not all the available buttons but only one slight push of the excellent "Portable Grand" can return you the unique grand piano sound. In total, 489 available instrument sounds on the Yamaha YPG-235 include 6 piano-like sounds, other special sounds along with numerous instrumental voices. These "Sweet" voices are from Trumpet, Soprano & Tenor Saxes, Pan Flute. Even "Cool" voices including Organ, Galaxy Electric Piano, Honky Tonk and more are added. Moreover, 9 kinds of echoes, 5 equalizer settings, and 4 kinds of the chorus will help you arrange a good performance with desiring sounds instantly. All Yamaha products are highlighted by the provided tone which is well supported by the AWM Stereo Sampling system. This effectively chooses the correct grand sample of piano based on the way the player reacts correctly to the keys. The Portable Grand button is convenient for the piano players to switch to a signature sound regardless of the selected sound or rhythm. Over 500 voices and sounds with its 361 signature Yamaha XGlite voices are added. 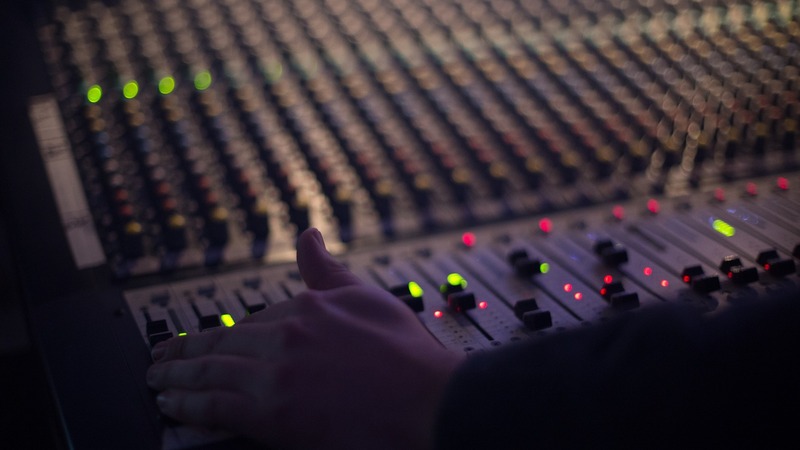 Therefore, the user will not need to find a suitable sound for any performance with difficulties anymore. You don’t need to have too much needless polyphony when a 32-note polyphony is provided in this digital piano. It means that 32 notes can sound at the same time and you may not need more than this. However, a professional composer or a musician should consider purchasing a keyboard with at least a 64-note polyphony for a bigger and more complicated sound with different choices of bells and whistles. The 2-layered stereo notes of Yamaha YPG-235 allow the consumers to use all their 10 fingers without using a recorded accompaniment. Therefore, if you like to play the piano without any special aim, it is needless to use all the voices at a time. Its Yamaha Education Suite function or Y.E.S along with Performance Assistant will allow you to break down several chosen songs into multiple individual components including pitch and rhythm. This remarkable feature is uniquely designed for all piano players at every level to experience the piano with multiple different capabilities including the keyboard lessons for two hands, grading your performance, and even a full-chord dictionary. 30 built-in songs of the piano help the players accomplish with over 70 other songs in the Yamaha included CD-ROM. Young pianists or the composers and producers can learn to put several instruments together with the six-track recording system. Featured by its six-track recording system, this Yamaha product aid the users to connect the different layers of several instruments on six separate tracks. You are also able to play with one hand while listening to the Yamaha keyboard play the other hand. Several aids are provided for those who love reading the music on the Yamaha display. Waiting mode is available waiting for the users to press the right note. Easily adjust the tempo suiting your speed while playing with tempo mode. Also, you can play the whole song and finally, receive a grade with Minus One mode. Other modes allow you to do different things. Split mode divides the Yamaha keyboard in half so that you can perform the instrument in both the top half and the bottom. To utilize this, use middle F or turn to another different point. Moreover, the Yamaha Dual mode supports the users to layer the sounds produced by two instruments including the strings and piano. Thus, the instruments can sound simultaneously for the perfect performance. The Yamaha YPG-235 digital piano having a 6-track MIDI recorder allows everyone to record the whole performances in SMF format on its internal memory. Changes are made with ease to numerous instruments, notes, and tempos after finishing the recording. What is most special about Yamaha YPG-235 is that it allows us to record a great accompaniment for another instrument to play along with. Alternatively, record a ready melody to play it back later when figuring out the right guitar chords if needed. In addition, the Yamaha YPG-235 keyboard contains 373 KB in the total of its internal memory; to connect to any laptop or PC via a common USB port will help you download several songs with ease. To connect to other applicants, look at 3 ports at the back face of the Yamaha keyboard including a standard ¼” headphone or a speaker jack, USB port to connect to a computer, smartphone or tablet and another jack for your sustain pedal. Purchase a common USB cable to connect with the digital piano. 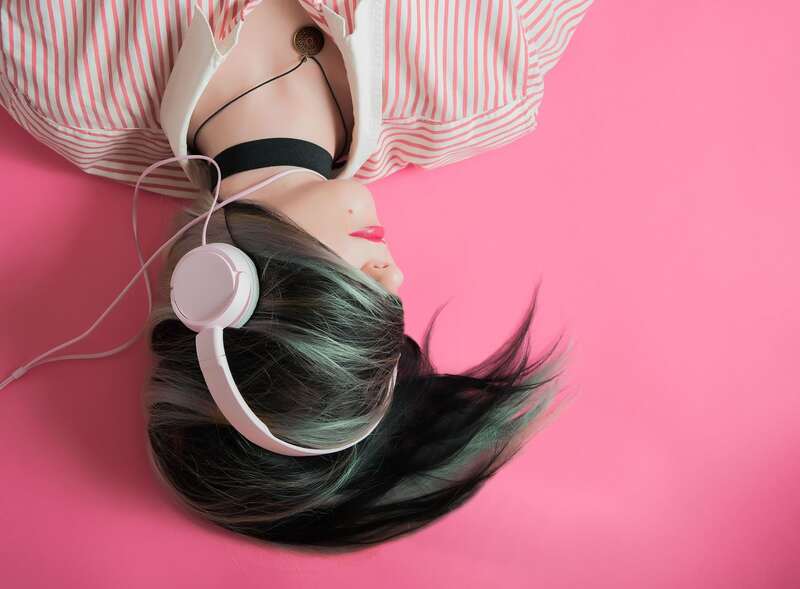 Once they are connected, exchanging the MIDI files with several music apps like GarageBand or Mixcraft and using the Yamaha piano as a real MIDI controller is much easier. This Yamaha YPG-235 review should be highly recommended for reading to enhance your real piano playing experience. The product is an especially helpful instrument, particularly for beginners at its reasonable cost. The wider range of sounds, unique design, useful educational function with great connectivity will give you the best feeling of professional piano experience ever. Purchase it now!